In the cold winter forest, there was once a Steampunk Hunter Girl who used such a bow and it is made of dark, black metal and cold as the winter. Of course, if you prefer it in lighter shades, it is possible with the LR Hud which gives you a few shades from Dark to Light to adjust the look of this bow. 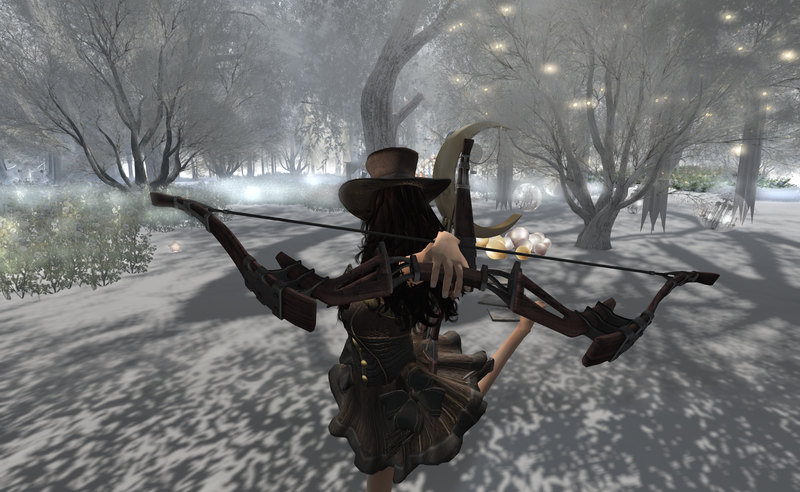 The bow comes with 2 quivers which you can equip on your back or side at your thigh. And it is really good because it gives you plenty of option not to interfere with your tail, if you have one like Kitty. The sheath bow also goes nicely on your back and give your full mobility, whether running or hunting or simply just to make sure someone check your bow out before checking you out. 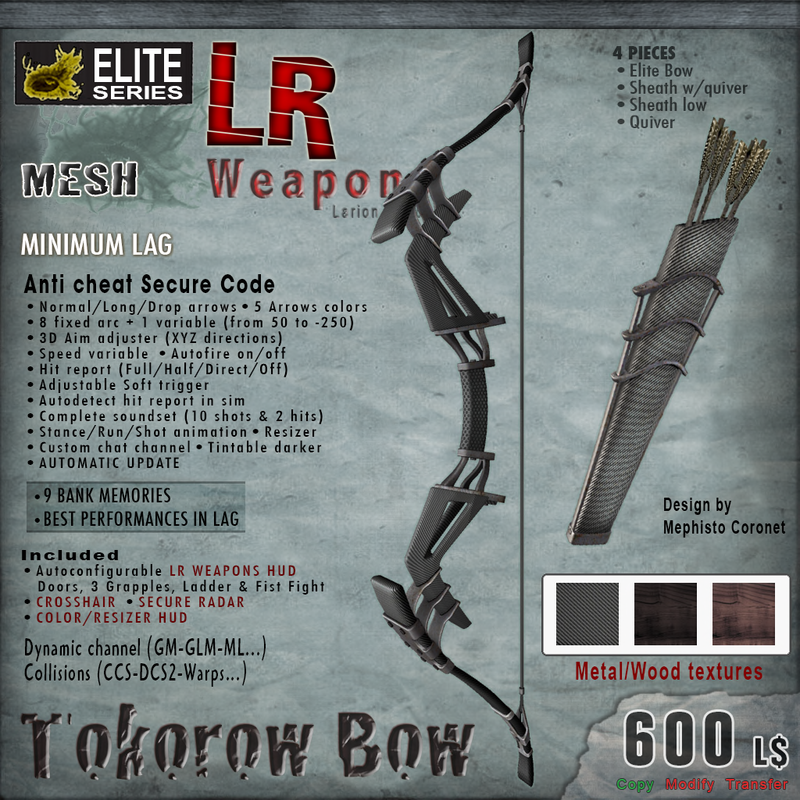 The special thing about this bow is that you can optionally equip your arrows too, for RP and props of course, since the arrow would fire at zero lag time when in mouse view as part of the Elite Bow from LR. This makes the bow very high tech just like what is needed in a Steampunk environment and it is almost like a bigger version of a crossbow to Kitty, except with less reloading hassles. And did you also notice how well the outfit blended with the bow? Well this is just another coincidences as Bare Rose's Steam Ribbon goes well with this LR Weapons as if they were made for each other! Do drop by to shop and you never know, you might just be lucky to get this too!